Sometimes a “simple is best” approach to lunch is perfect. Other than the rice, everything came on handy little pre-packeted goodness. Topped with bonito flake and soy sauce. I think its with dried onions. 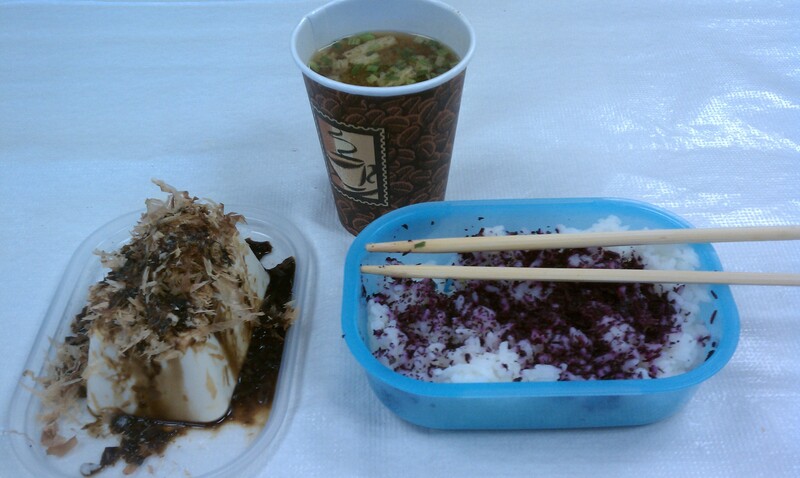 Shiso rice topping is what is making the rice purple. It was small and fast to pit together, but super satisfying! ← Dinner was so good I saw stars!